I would like to highlight on 2 points which is ?Hostname must not exceed 13 characters?. And you may want to set your system date to 2 years in the future. The installation could be easy. Just pop-in your installation disc. The browser will appear. Goto the installation menu in the browser. Then click install! Click Next -> Finish. That?s all! The miniSAP is installed on your machine. Once you click finish the MS-Dos and SAP Management console will appear. I will close them all for now since we still have to install SAP Logon in order to login and use our newly install miniSAP system. In order to logon to your miniSAP system you have to set up the SAP Logon. After finish installing SAP Logon, click on SAP Logon icon. In SAP Logon Click ?New Item? Click finish, go back to SAP Logon, and Logon! 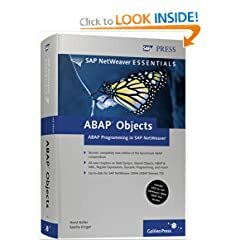 Let say hello to ABAP. Is that only for apaper ka? I also would like to practice in MM . How about laptop spec ka? Google sarch “minisap vm” เจอ blog อยู่หน้าแรกเลยแฮะ มันมี vm ที่ทำเสร็จแล้วให้ download ไหม?